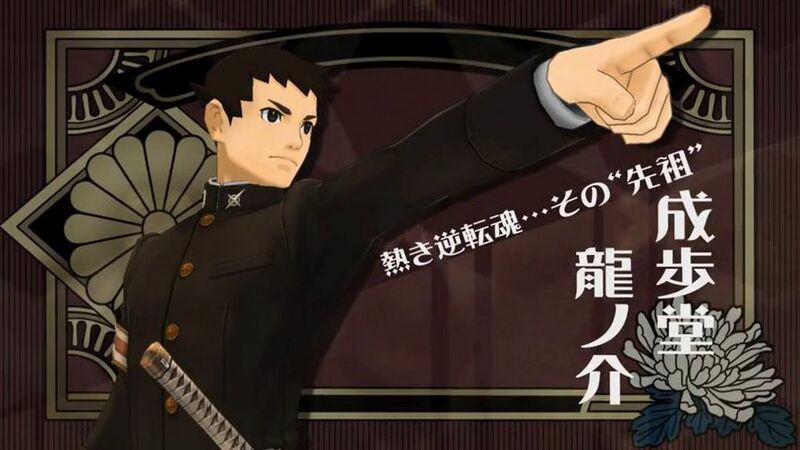 The latest trailer for The Great Ace Attorney 2 has revealed perhaps unsurprisingly that the visual novel style courtroom and investigation game from Capcom will release on 3DS. Unlike the main series Ace Attorney games, this spin-off series takes place in Meiji era Japan featuring Phoenix Wright's ancestor. Ace Attorney is a bright and colorful visual novel adventure series where players must investigate crime scenes and uncover (usually) murder culprits in court. The over-the-top but charming goofiness, superb soundtrack, great writing, and puzzle aspects have captured even a large number of westerners, who make an exception to a commonly self-imposed "no visual novels" rule. Eight of the ten existing titles in the series have made it westward in one way or another, with only Ace Attorney Investigation 2 and The Great Ace Attorney (Daigyakuten Saiban) yet to receive localization. There are many theories regafong the latter, including one that cites copyright issues with the existence of a character who resembles Sherlock Holmes. I have yet to play the newer titles, but I have adored all the ones I've played thus far. I hope Capcom can find a way to bring these titles west, so I'm going to do my duty and report anything related to the Great Ace Attorney games.